Ever been to a watermelon seed spittin… yea “spittin” contest? No... Then you’re missing out.. There is an art to the whole process.. with the end goal being that you get your seed way past the other contenders on that plastic like covering or just past the line on the floor.. I know you're thinking it’s disgusting.. but actually.. It’s entertaining..
To see a bunch of grown folks standing around watching other grown folks spit.. ack!! 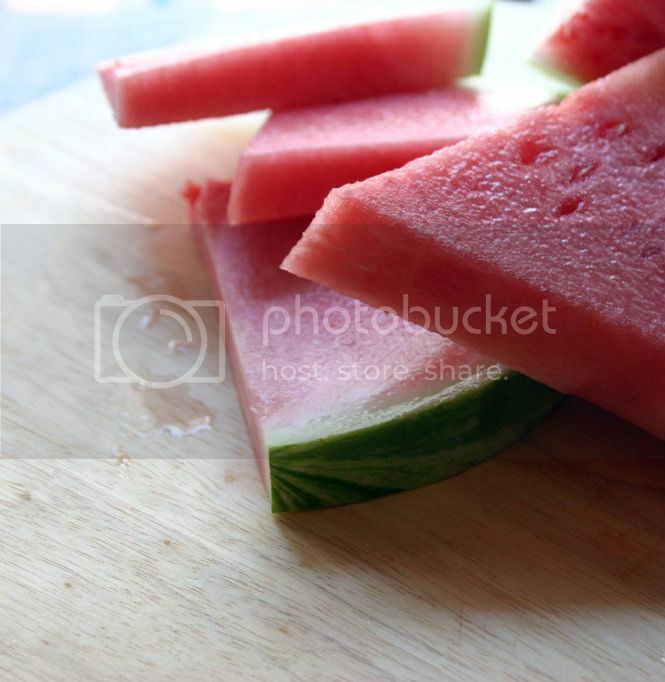 As a kid,Granny and I used to sit outside eating this delectable juicy treat or rather she would sit and watch me go back and forth down that shiny piece of yellow plastic that wasn’t quite thick enough to stop the sharp blades of grass from poking you… I think it was called a slip-n-slide..
She would laugh at me and call me silly while enjoying the sun as the spray from the water quenched the thirst of her rose bushes. We received our endless supply of watermelon from a gentleman who was always parked directly in front of the local Piggly Wiggly. This watermelon was by far the beat I've ever had. He would say they are so good because they were “His” watermelon, straight out of his own backyard. I couldn’t argue with that because even now 20 years later, I don’t think I have found one slice of watermelon that comes close to his. Now…when I visit and pass by that corner …. I can still see his old beat up blue pick-up truck full of watermelon and him leaning against the side with a big smile on his face because he knew his would far surpass any others you’ve sampled in the past, which undoubtedly would keep bringing you back for more. Although.. Granny would pop you with a switch if she caught you spittin out the seeds.. Remember that while you’re eating this salad.. 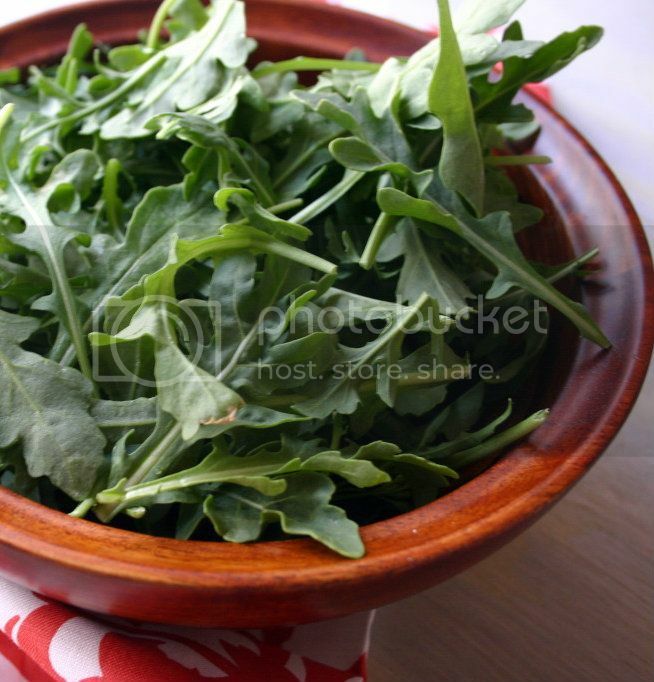 In a large bowl combine watermelon, onion, feta and arugula. Add balsamic dressing and toss to coat. Then sprinkle with the toasted sunflower seeds and dig in. 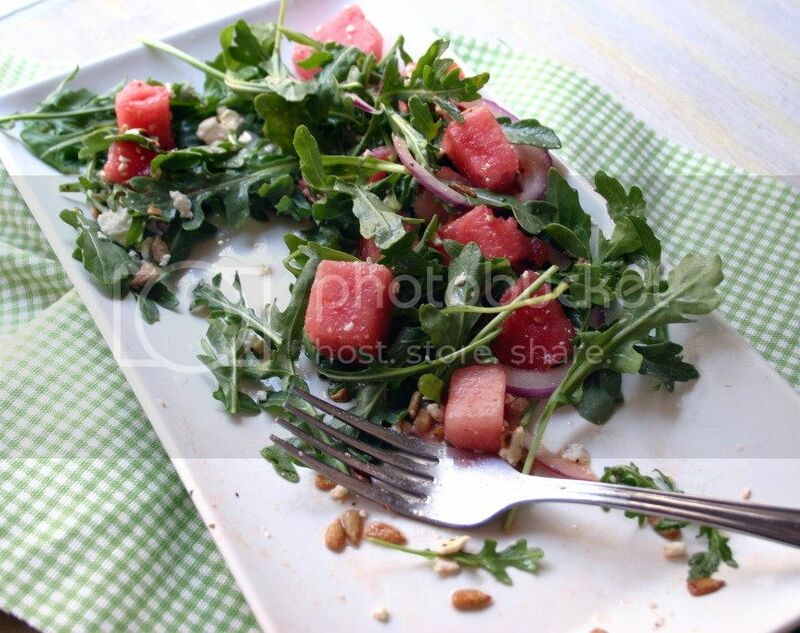 The balsamic dressing brought out the flavor of the watermelon, while the sunflower seeds gave it a warm crunchiness.. this salad is summer garden party perfect..